After a heist, professional thief Doug MacRay (Ben Affleck) keeps an eye on bank manager Claire, the only witness who could identify MacRay’s gang. The couple fall in love with each other, and as FBI agent Jon Hamm (Mad Men) closes in on him, McCray begins to question the life he’s been leading. This is Affleck’s second directorial feature after the critically acclaimed Gone Baby Gone. 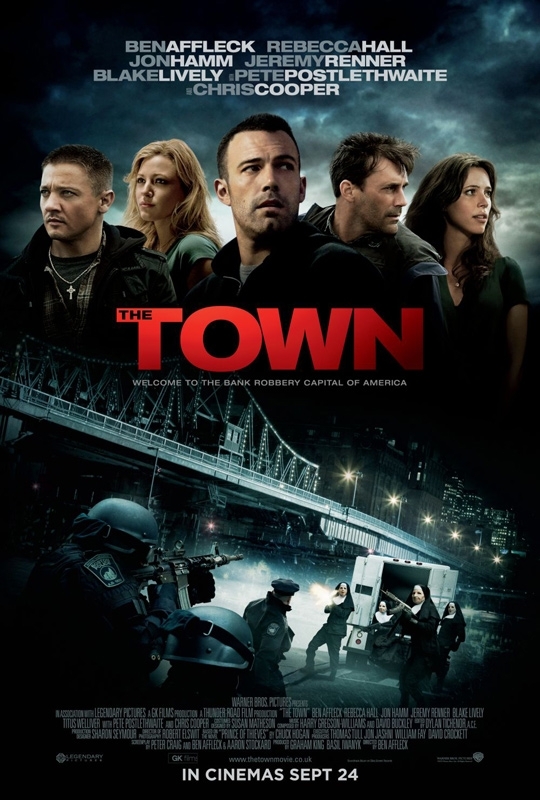 The themes aren’t particularly original – bad guys wanting to change their ways, kidnapper getting involved with his hostage, a neighbourhood ruled by a criminal fraternity – but Affleck has a feel for the one-square mile district in Boston that accounts for 300 robberies a year and where even children can spot undercover cops. The film jumpstarts with a slick, well-practiced robbery, but none of the action is overblown, and while the fights are brutal, they’re also always believable. This is a fantastic crime thriller and drama, with pitch-perfect performances, that serves as confirmation of Affleck’s ability as a director. I agree that Affleck as an actor leaves one wanting, but I do think (as you do) that he’s showing promise as a director. And do see GONE BABY GONE – his first, but consider this as you watch it…most directors first features’ show the promise of their later work, but few are ‘masterpieces’ in and of themselves.